Sikkim is such a beautiful place and I need not say it again and again. If you are a reader of TravelDias, I am sure you know how many times I have been to Sikkim and still counting. I have covered all places of interest in east, north and west Sikkim and so in this write-up, I would be discussing about South Sikkim tourism, places of interest in south Sikkim. Sikkim is never short of tourist destinations and so there are many tourist places in south Sikkim too. When we talk about south Sikkim, the first tourist destination comes in mind is Ravangla or Ravong which is one of the most visited destinations in Sikkim like Gangtok, Pelling, north Sikkim, etc. Apart from Ravangla, another popular destination is Namchi. Ravngla and Namchi are the only 2 divisions in south Sikkim. South Sikkim is not only known for Ravangla and Namchi but also for offbeat destinations like you find along Silk Route or other parts of Sikkim. The view of Mt. Narsing on Kanchenjungha is so close from south Sikkim. South Sikkim is also known for hiking and trekking trails. Maenam Hill trek is very popular in the silent valley of south Sikkim. 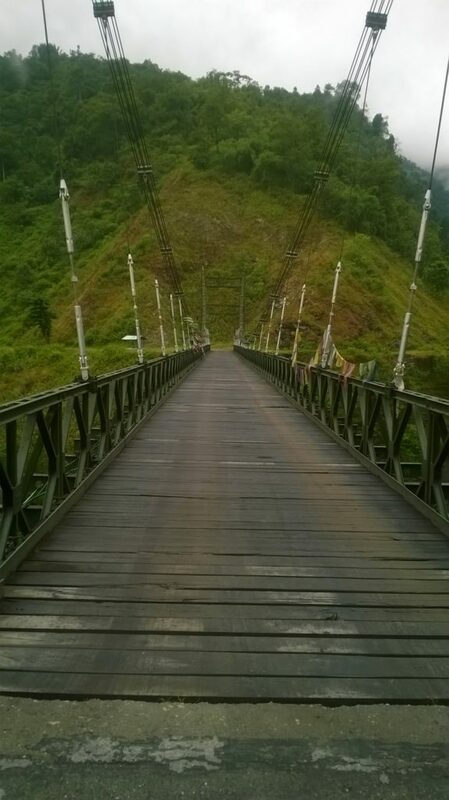 Borong and Ralong in Ravangla division are popular as offbeat tourist destinations in south Sikkim. Temi tea garden makes Namchi very popular. Temi tea garden is the only tea garden in Sikkim and one of the best tea gardens in the world. Let us discuss first about Namchi and places of interest in and around Namchi. 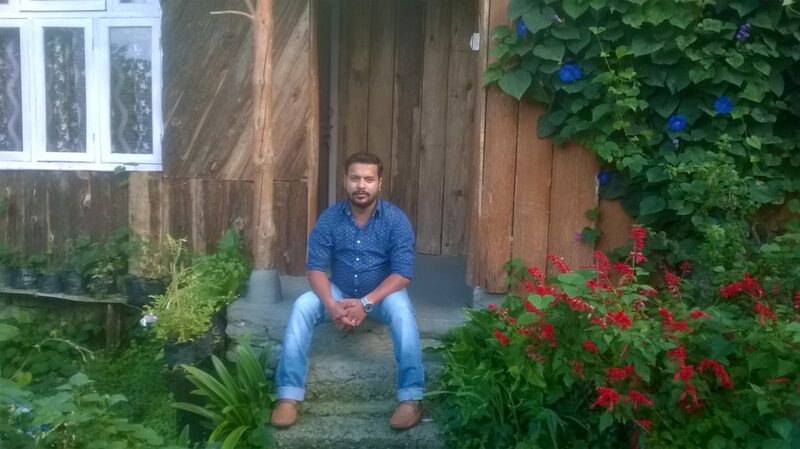 I have been to Namchi quite a few times and Temi tea garden was always in my bucket list. I have also stated this in my other articles. The breathtaking view of the Temi tea garden across the hills along with the Cherry Resort to stay at, make Temi tea garden a very popular destination for tourists. 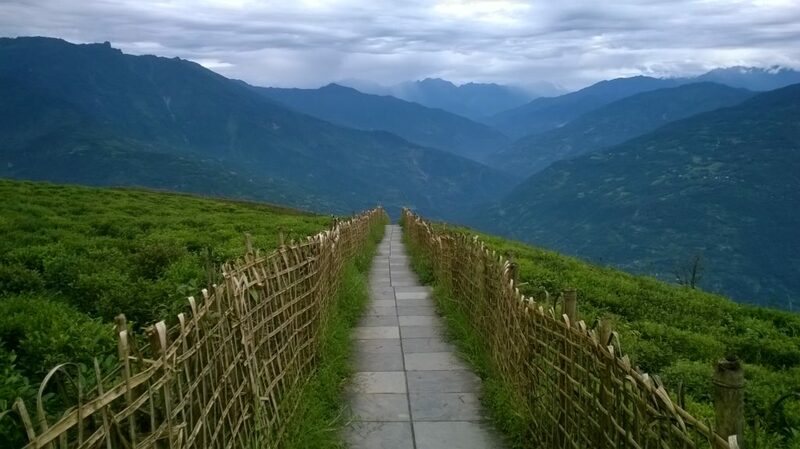 If you are planning a trip to Namchi and south Sikkim, Temi tea garden is a must visit place. 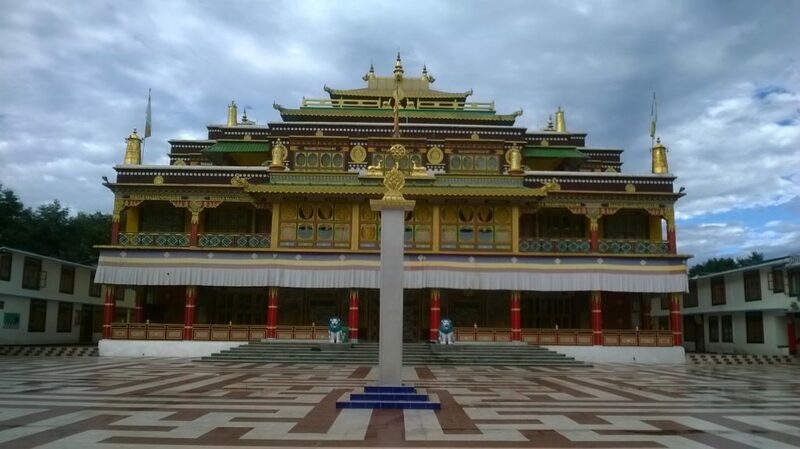 Namchi is also known as the Culture Capital of Sikkim. 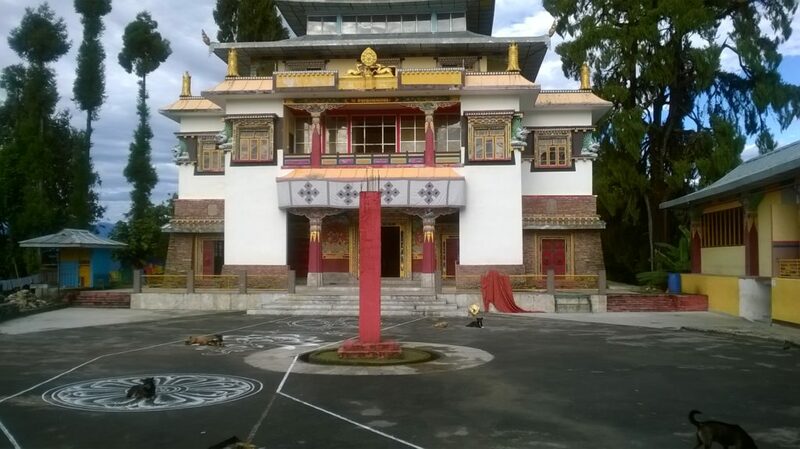 In fact Namchi has been developed as a hub of religious and cultural tourism in Sikkim. The replica of all four Dhams in India has been built up at Namchi. Char Dham in Namchi is famous for the massive statue of lord Shiva which is seen from distance and other hills. 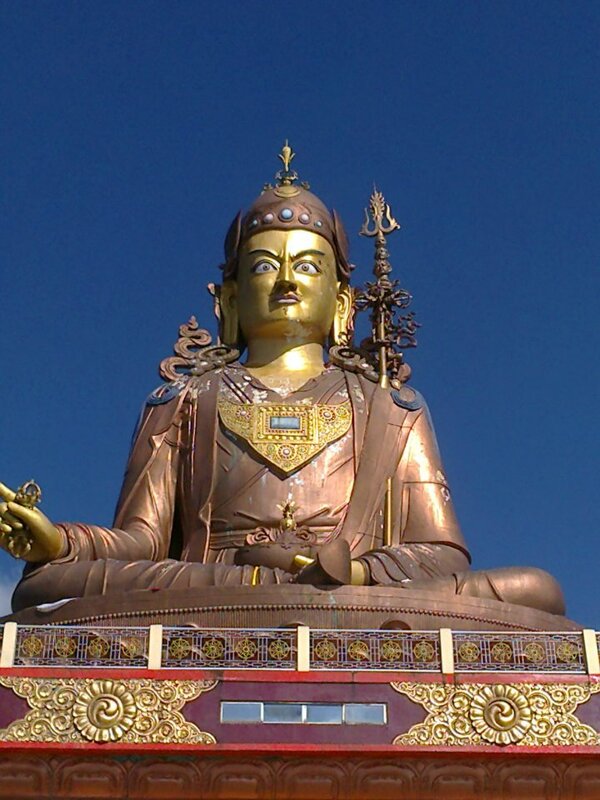 The world’s highest statue (135 ft) of Guru Padmasambhava at Sandruptse is another place of interest and tourist attraction. 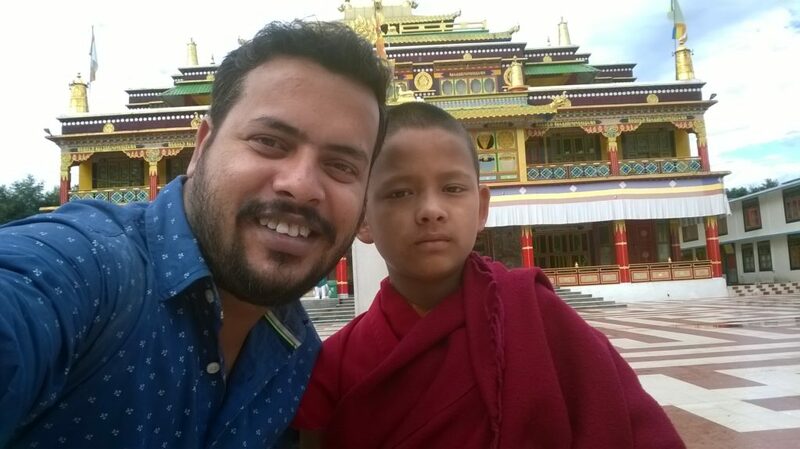 All places of interest one can cover on his Namchi trip to south Sikkim are mentioned below. I would share all details about Namchi sightseeing in a separate write-up. The best place to stay in Namchi as of now would be Cherry resort at Temi tea garden. Cherry resort was earlier known as Namchi Yatri Niwas. It is a Sikkim govt. Property but given on lease presently to a private firm (as on October, 17). I know them personally because I have been there many times and I have stayed there. If you are planning a trip to Namchi and decides on staying at Cherry Resort, just give me a call on my mobile 9831540384 or mail me at uvreachedavi@gmail.com. I would surely connect you to the authority and help with all details and information needed. It is not a must thing to stay overnight at Namchi. If you can’t spare a night at Namchi, you can cover all places of interest in Namchi on a day trip from Ravangla or Ralong or Borong. 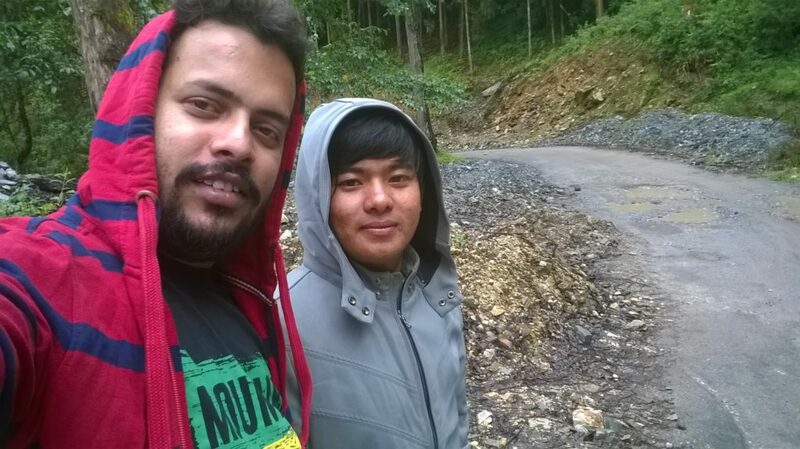 You can also cover Namchi on way to Pelling from Gangtok or vice versa. You must have a reserved car for sightseeing or day trip to Namchi. Ravangla is known for the Buddha Park popular among tourists but I have known Ravangla in a different way through my last 2 visits to Borong and Ralong which I feel two of the best offbeat destinations in south Sikkim. Loved the places because of the magnificent view of Mt. Narsing from there and wide species of birds and butterflies. 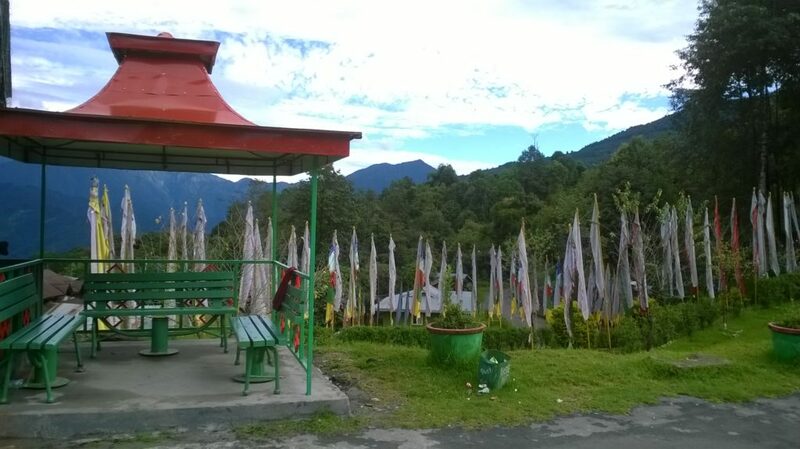 Ravangla is one of the two divisions in south Sikkim and a popular tourist destination. 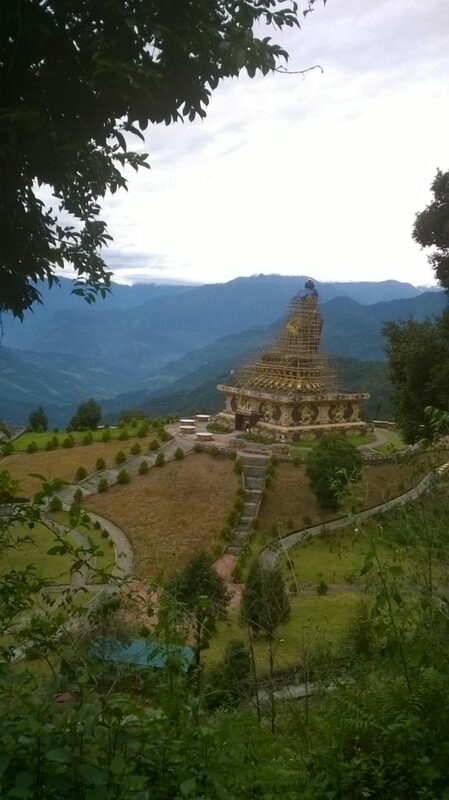 Ravangla is a relatively new tourist spot in South Sikkim and started getting tourists after the Buddha Park (Tathagata Tsal) is created. Before the Buddha Park was built in Ravangla, there were no such tourist destinations other than trek routes and some offbeat destinations such as Borong, Ralong as I discussed earlier. So there was not a flow of general tourists but only trekkers and nature lovers who used to visit for offbeat trails. 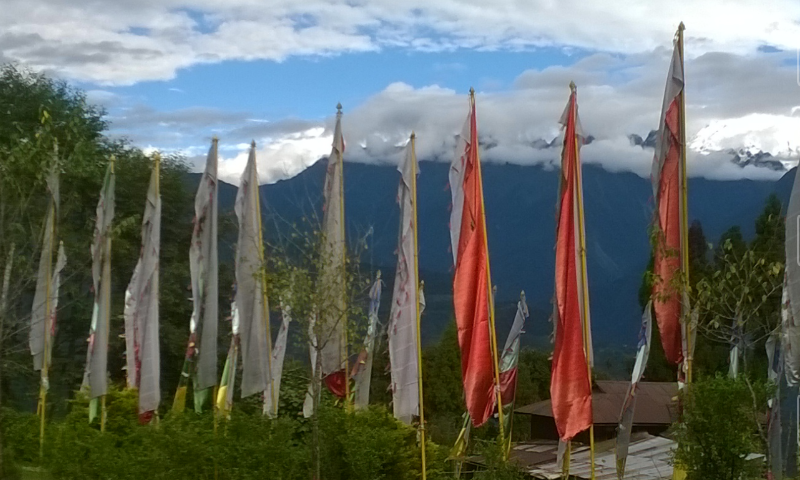 The best thing about Ravangla as of now is, there are still these offbeat places and trekking trails. People visit Ravangla, spend couple of nights, do sightseeing and then leave. One can also cover Ravangla on sightseeing between Pelling and Gangtok but I personally prefer to stay and spend couple of nights there amidst nature. 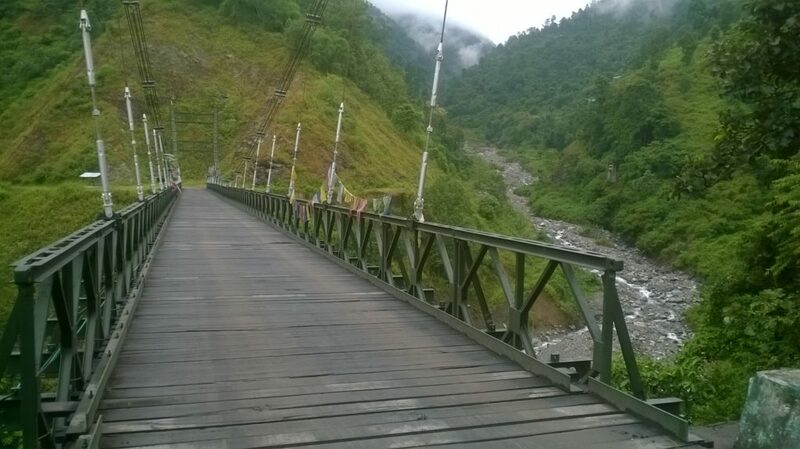 Borong and Ralong are my primary destinations as far as offbeat tourist destinations in south Sikkim are concerned. I love Borong as much as I love Padamchen or Nathang Valley in east Sikkim. You can have a look at my write-up on Borong. I visited Borong last time in Octover, 2017. 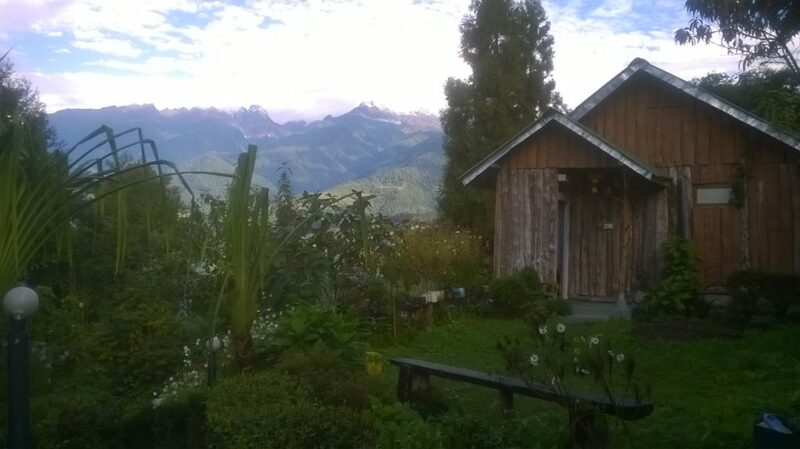 If you are planning to visit Ravangla, I would suggest spending couple of nights there. If you just want to cover places of interest on sightseeing, you would not do justice to this beautiful tourist place in south Sikkim. As far as stay is concerned, you can either stay at proper Ravangla town or you can move further uphill and chose from one of offbeat destinations such as Borong, Ralong,. Etc. and stay overnights there. Last time when I visited Ravangla division in October, 2017 as I said earlier, we stayed at Wild Flower resort at Borong. It is such an amazing place to stay. I would write on the Wild Flower resort separately and post the content soon. If you are interested, give me a call on my mobile 9831540384, I would surely connect you to the owners who are good friends of mine now. No need to book the property online from other travel portals, because a personal touch is always more helpful and better. So let me recommend and refer you so that you get your best nights of travel at Borong and Wild Flower Resort. Best time to visit Ravangla and other offbeat destinations in the region would be winter from October to January and in spring (April-May). If you want to enjoy a chilling weather amidst nature with snow peaked Mountain View, visit in winter and if you are in love with flowers like Rhododendrons, visit in the period of April-May. One can directly visit Ravangla from NJP/Siliguri/Bagdogra. 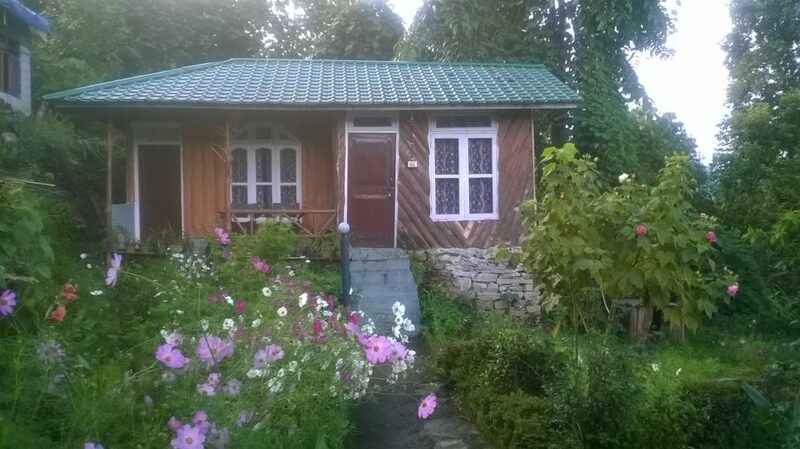 The place is also accessible from Gangtok, Pelling, Kaluk, Richenpong, etc. If you have already decided to visit south Sikkim or planning a trip there, do not hesitate to give me a ring on my mobile 9831540384 or mail me at “uvreachedavi@gmail.com”. I can surely help you with all details and planning. Do visit south Sikkim; the view will just keep you entranced. 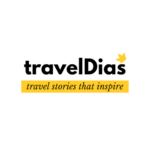 Keep reading TravelDias and stay tuned to Blog section for details on south Sikkim and nearby places. Keep travelling.